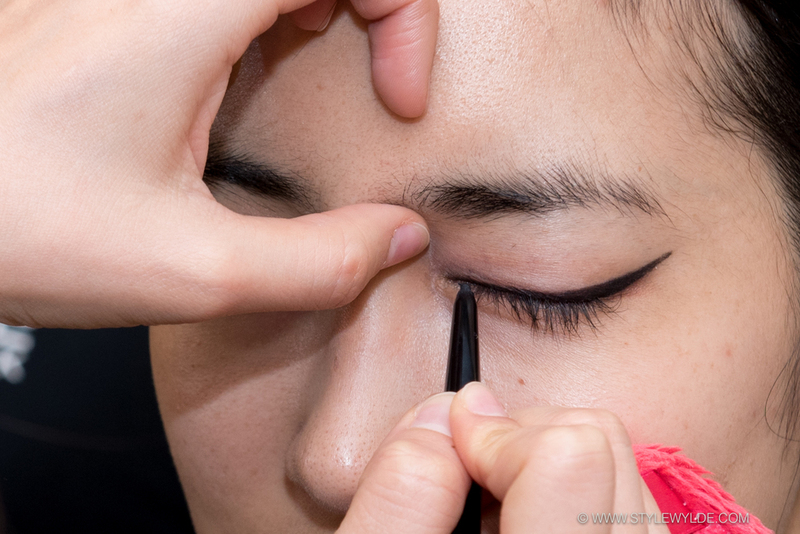 A perfect cat eye was the point of emphasis for the beauty look created by beauty guru Mizu and his team from Maybelline New York, Japan at the Asian Fashion Meets Tokyo, Vietnam collection. Using a full array of Maybelline products, including a light application of Maybelline BB Cushion foundation (for a natural barely there look), Maybelline Fashion Brow, a gorgeous deep red pigmented Maybelline lipstick and Maybelline The Nudes eye shadow palette, the team created the ultra glam, slightly retro look. After watching the models walk the runway in rehearsal, Mizu decided to blot the lip down to a natural pinky stain for a more modern look. 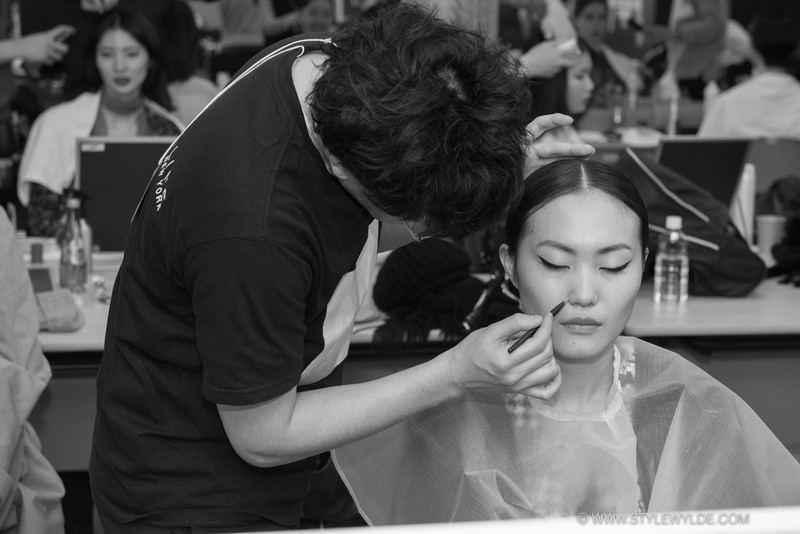 While the make-up team was busy beautifying faces, the hair team from Shiseido Japan Professional were busy creating a sleek and shiny ponytail with extensions added when needed for length. This clean and classic look was the perfect pairing for the ornate pieces that made up the collection. The final touch, nails by Essie Japan, were dark and shiny with an ever-so-slightly translucent finish that was achieved by nail artists mixing the dark inky black hue with a thin gloss coat on a tiny foil palette, before application. All images: Cynthia Anderson for Style Wylde. 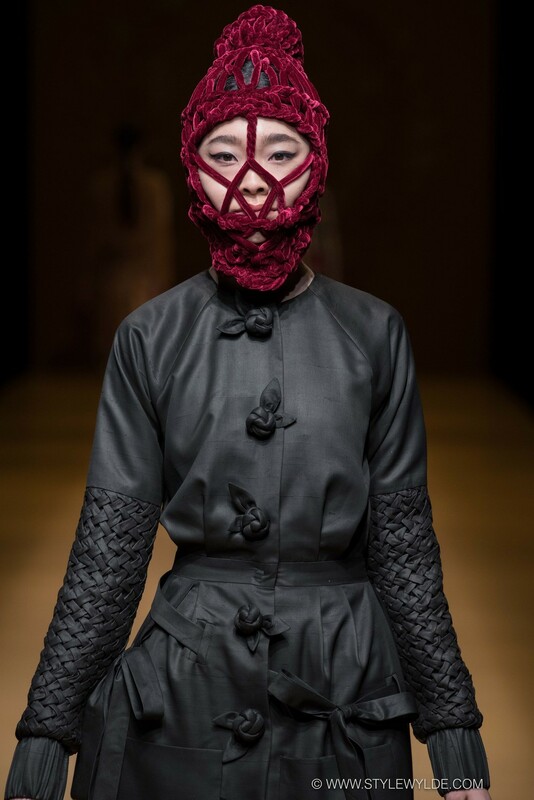 For a full run of show for the Asian Fashion Meets Tokyo, Vietnam collection check out our feature in Runway.